That tragic romance. The jaw-dropping moment when the ship split in two. The bottom-numbing effects of being glued to a cinema seat for three hours and 14 minutes, then walking out to a theme song that attached itself indelibly to the brain. Few will have forgotten their experience of watching Titanic, the audaciously ambitious film released 20 years ago this month. Based on the real-life story of the British passenger liner that hit an iceberg in 1912, it relays the horror through the eyes of fictional society girl Rose DeWitt Bukater, about to be married off by her widowed mother for money, and third-class passenger Jack Dawson, who is smitten with Rose. The fates of the lovers, played by Kate Winslet and Leonardo DiCaprio, coupled with heart-stopping action scenes as the boat sinks, caught the imagination of cinema-goers everywhere. Little wonder, given that no detail was overlooked in creating the staggering £150 million production, which won an amazing 11 Oscars and became the second-highest grossing movie ever. To mark the anniversary of the film’s UK release in 1998, we reveal the stars, stunts, statistics and secrets of a film whose appeal only grows greater with age. Robert De Niro was offered the role of the ship’s Captain Smith but turned it down because he had a gastrointestinal infection, while Lindsay Lohan, then a promising nine-year-old, almost got the part of Jack’s young friend, Cora Cartmell, before being dismissed because her red hair clashed with Rose’s auburn mane. Last year Reece Thompson III, 25, who had a minor part as an unnamed child passenger and who is now a digital marketing director, revealed he has pocketed royalty cheques worth over £20,000 — enough to put himself through college and buy a car. 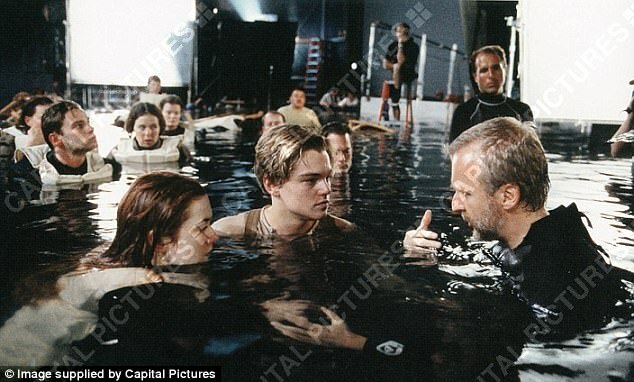 Much of the film’s success can be credited to James Cameron, a director Winslet claimed had a ‘temper like you wouldn’t believe’, admitting at times she was ‘genuinely frightened of him’. 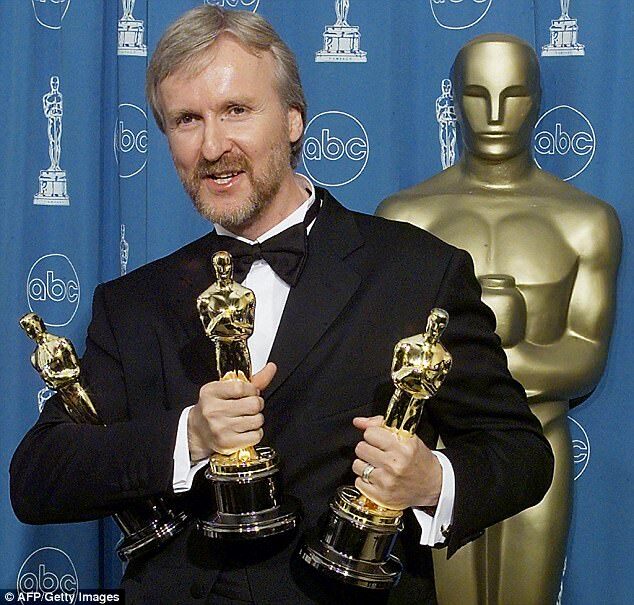 Cameron — who won three Oscars for Titanic; Best Picture, Best Director and Best Film Editing — personally provided the film’s extras (actors with minor, unspoken parts) with names and real-life stories from the Titanic’s passengers to make their performances more authentic. Filming at 4.30am was par for the course and he shot so many scenes that at one stage the film was 36 hours long. The Canadian, 63, an accomplished scuba diver already acclaimed for action films The Terminator and Aliens, admitted his motivation for making a film about ‘a big ship that sinks’ was wanting to dive to the real wreck of the Titanic, whose remains weren’t discovered until 1985. In 2001 and 2005 Cameron and his team made multiple dives in submersibles to capture footage of the Titanic wreckage, more than two miles below the Atlantic, using a state-of-the-art camera system. The 2001 expedition resulted in a documentary film called Ghosts Of The Abyss. A 40-acre plot of land in Mexico was bought, on which a 17,000,000-gallon, 90ft-deep tank the size of two football pitches was built to hold the exterior of the ten-storey-high reconstructed Titanic. Water was fed directly into the tank from the Pacific Ocean, with the set mounted on hydraulic jacks so it could be tilted by up to six degrees to mimic the waves. 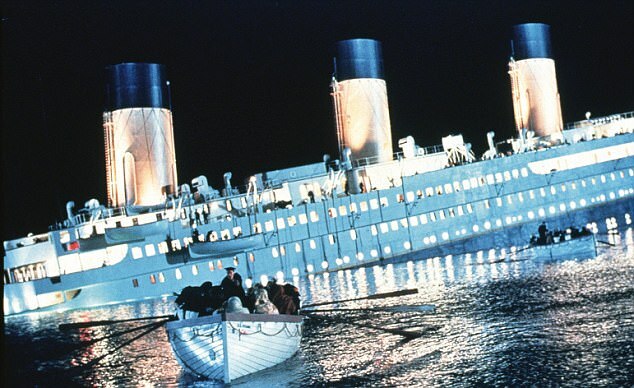 The front section of the boat had a mechanism that allowed it to sink 30ft while the highest deck could rise by 90 degrees — crucial for the scenes in which the ship split in two. The volume of water involved inevitable stress — during the scene when the sea comes crashing into the ship’s Grand Staircase, for example, filming had to be done in one take as the water would destroy the entire set. The scenes in which passengers struggled in the sea were shot in a 350,000-gallon, 3ft-deep tank of water which Cameron has insisted was heated to a moderate 80 degrees, claiming ‘it was really like a pool’ and that the ‘cold, frigid breath’ was added later with special effects. Winslet might beg to differ — she refused to wear a wetsuit under her costume so her shivers would look more convincing. She promptly caught hypothermia. Twenty lifeguards kept the cast safe, but anyone thinking of leaving the water for a loo break was threatened with the sack. The set’s coastal location meant most of the ocean horizon views were genuine, and to portray passengers who drowned, actors were turned into frozen corpses with a powder that crystallised when exposed to water and wax was applied to hair and clothes to make their glacial appearance more authentic. Perhaps unsurprisingly given the effort involved, Titanic — whose release date was delayed five months — went wildly over budget. Fortunately, however, the film — given the working title of Planet Ice as a decoy — silenced its critics by becoming an overnight success, making a massive £20 million in its first weekend alone and proving so popular that Paramount had to send out replacement reels as cinemas wore out their copies. Savvy cinema executives maximised profit further by re-releasing the film in 2012 to mark the centenary of the actual sinking. So far, Titanic has made an astonishing £1.8 billion worldwide — a sum eclipsed only by the 2009 sci-fi film Avatar (also directed by Cameron). The film’s money- making potential is matched only by its award-grabbing appeal. In 1998, Titanic was nominated for 14 Oscars and won 11 — a feat never surpassed and equalled only by two other films: Ben-Hur (1959) and The Lord Of The Rings: The Return of the King (2003). Titanic might have turbo-charged the careers of Kate Winslet and Leonardo DiCaprio, but neither was first choice for their roles. Gwyneth Paltrow, Winona Ryder and Uma Thurman were all considered to play the role of 17-year-old Rose, with a little-known Winslet so desperate to usurp her more famous rivals that she sent director James Cameron roses signed ‘from your Rose’ after auditioning. Matthew McConaughey, meanwhile, was picked by Paramount Studios, which produced the film in conjunction with 20th Century Fox, to play Jack. He auditioned alongside Winslet before Cameron insisted on recruiting baby-faced DiCaprio instead. Although Winslet and DiCaprio laugh off suggestions their sizzling on-screen chemistry translated into off-screen romance, Winslet has jokingly described him as ‘the love of my life’. Their friendship appears to have survived the fact that Winslet was paid less than DiCaprio (£1.5 million compared to his reported £1.8 million) and that she was nominated for an Oscar and he wasn’t. Ouch. Not that either’s career has suffered. Thrice-married mother-of-three Winslet, 42, is now worth around £66 million. DiCaprio, 43, single and dedicated to dating twentysomething models, is worth an estimated £180 million. Cameron pulled out all the stops to ensure his film replicated the real-life tragedy as closely as possible. The Titanic was owned by the White Star Line, which later merged with Cunard, who helped director Cameron to replicate the ship’s furnishings. The wooden panelling Rose floats on after the ship has sunk is based on a genuine artefact that survived and is now on display at the Maritime Museum Of The Atlantic in Halifax, Nova Scotia. 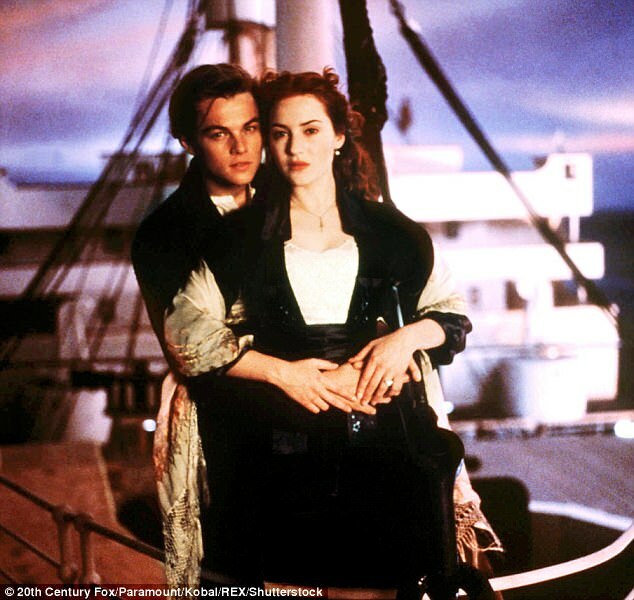 In the final scene, when Rose meets Jack, the clock on the staircase behind them reads 2.20am — the exact time the ship sank. The actress who played ‘old Rose’ in the film (Gloria Stuart who, at 87, was the only cast member alive when the Titanic sank and the oldest person ever to be nominated for an Oscar) and gives her modern-day account of the tragedy, owned a Pomeranian — one of three dogs to survive the Titanic’s sinking. Unknown to Cameron until after filming, there was even a real J. Dawson (Joseph, not Jack) on board. Part of Titanic’s appeal is the lavish period drama clothing, which took a staff of 50 costume designers a year to source. ‘The scale was just incredible,’ recalls costume designer Deborah Lynn Scott, who scoured the globe gathering a museum’s worth of original pieces from the Edwardian era to help her achieve the detail required. She faced a further uphill struggle on account of the cast continually getting wet. ‘All of a sudden we would have 700 or more people in the water,’ recalls Scott. ‘We had to make life vests for most of them, and it wasn’t always done in one take, so we had a giant room that was like a heated closet, where the clothes would dry. The 24 chiffon dresses Rose wore were all a size 8 although, during the final scenes, she wore a size 12 coat, with the excess of fabric intended to make her look more vulnerable. On-set tension prompted a childish desire among some of the cast and crew to let off steam. On the last night of filming in Nova Scotia (a Canadian maritime province where the opening scenes were shot) a prankster mixed the illegal hallucinogenic drug PCP into the clam chowder served to the cast and crew, 80 of whom ended up in hospital. ‘Some people were laughing, some were crying, some were throwing up,’ recalled the late actor Bill Paxton, who played treasure hunter Brock Lovett. 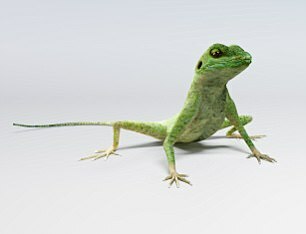 DiCaprio, meanwhile, reportedly wept when his pet lizard was hit by a truck on the lot. He also apparently became so disillusioned with the never-ending filming that he threatened to lobotomise himself with the on-set cutlery. 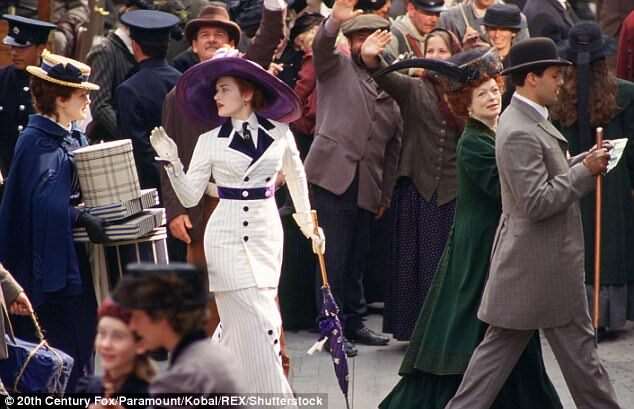 Cameron fared better — he met his fifth wife (Suzy Amis, who played old Rose’s granddaughter Lizzy Calvert and with whom he has three children) on set. DOES CELINE DION HATE THE SONG? 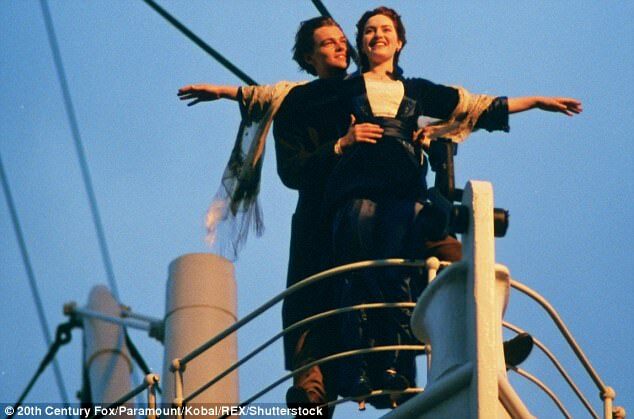 The film’s show-stopping (if slightly cheesy) closing song, My Heart Will Go On, became synonymous with the drama of the film and its overall success. Cameron — a heavy metal fan —was resolutely against including any songs on the classical music film track at first, let alone a cliche-ridden pop ballad. Undeterred, composer James Horner — in charge of Titanic’s score — wrote the theme song with lyricist Will Jennings and secretly arranged a recording with singer Celine Dion. After listening to the demo, Cameron — under pressure from the studio to use whatever marketing tools available to make his very costly film a commercial success — agreed to include it. Although it won an Oscar for Best Original Song in 1998 and sold 15 million copies worldwide, it wasn’t universally revered. AND WHAT IF JACK HAD SURVIVED . . . 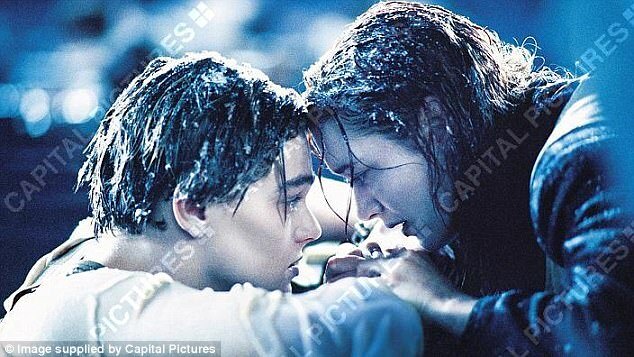 The central tragedy — that Rose survives and Jack dies — angers fans who maintain there was room for both to fit onto the floating door that saves Rose’s life. Cameron is having none of it, insisting the door ‘was just big enough to hold her, and not big enough to hold him’, and in a film essentially about ‘death and separation’, had Jack lived, ‘the ending would have been meaningless’. And arguably, not one still being talked about 20 years later . . .